The last of 3 7'' singles released for the first Ricked Wicky LP, I Sell the Circus. Each 7'' on Side B contains an exclusive track written by Nick Mitchell, guitarist of Ricked Wicky and newest member into the ever expanding Pollardian army. In this way, the limited singles offer a Pollard teaser for the new LP, while fans are left getting acquainted with a brand new ballgame on the flipside. Each 7'' in the series is limited to 500 copies on black vinyl. 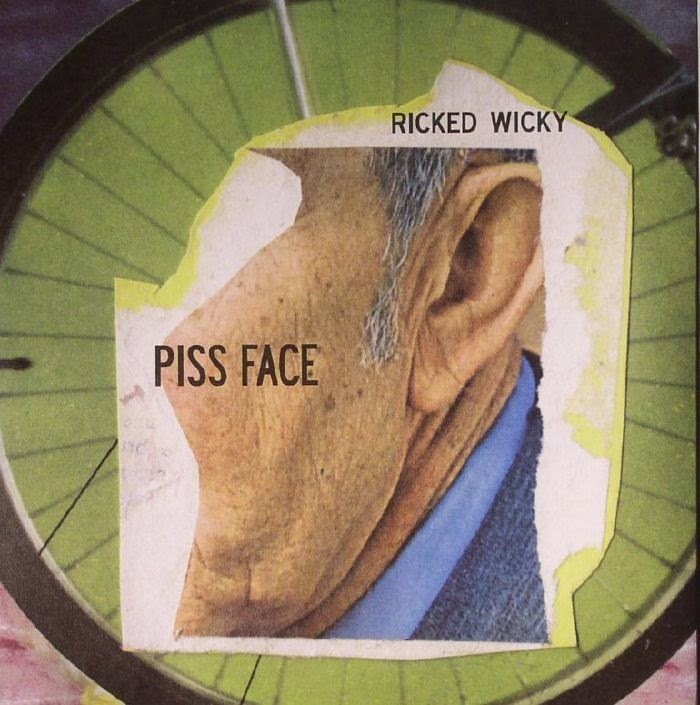 Piss Face- The same track that appears on the full length LP I Sell the Circus. Read the review over there. Temporarily Inane- 4 A frolicking, bouncy, piano laced weird time, brought to us by Nick Mitchell. Part hypnotic, part ridiculous waltz in the verses. The choruses breath a little, offering up some of Mitchell's refined vocal stylings, soaked in reverb. Such an oddity, but so good. A few listens to get this thing to stick, and you'll be alright.